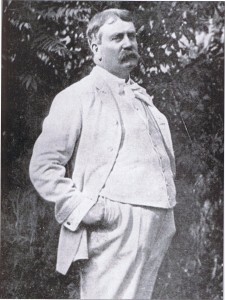 The Windy City’s Daniel H. Burnham is nationally-known for a variety of works including a leading role in the creation of master plans for Chicago and downtown Washington D.C., and as designer of the Flatiron Building in New York City and Union Station in Washington D.C. (to name just two). He has also reached a new level of notoriety due to Erik Larson’s recent non-fiction book, The Devil in the White City, which intertwines the tale of H.H. Holmes, a serial killer, and Burnham, Director of Works for the 1893 World’s Columbian Exposition in Jackson Park, Chicago. But did you know that Daniel Burnham also designed four skyscrapers in Cincinnati between 1901-1905? 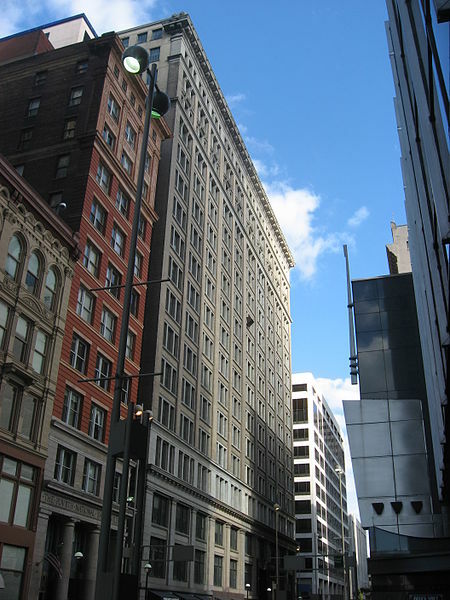 Daniel Burnham’s skyscrapers, built in the vicinity of Fourth and Walnut Streets, are also favorites of Terry Garrard, Architreks guide with Cincinnati Preservation Association and the Architectural Foundation of Cincinnati (see previous post Architectural Treasures of the Queen City: Part I). 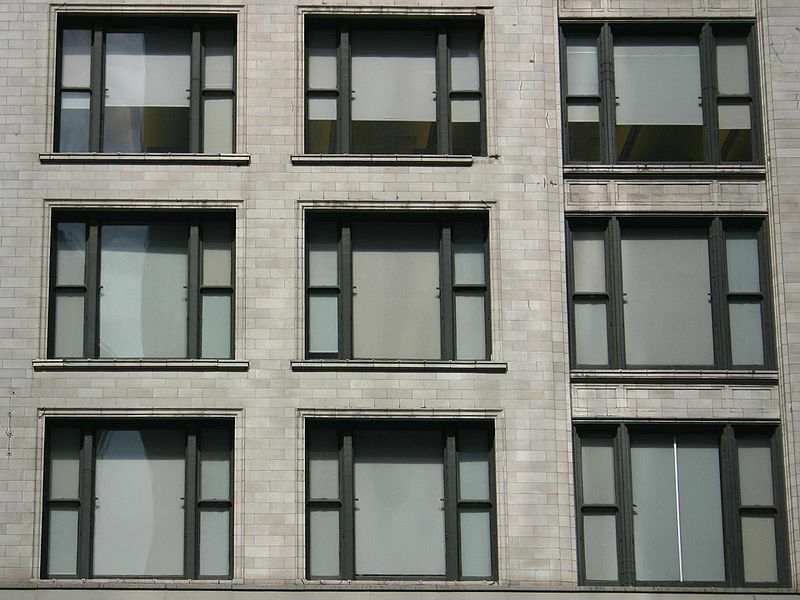 The buildings are excellent examples of the Chicago or Commercial Style, which Burnham helped to establish throughout the United States. 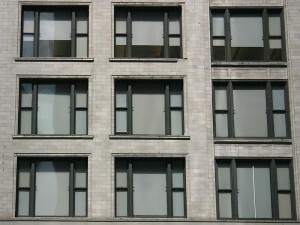 This architectural style features steel frames with masonry cladding (typically terra cotta), allowing for distinctive tripartite windows, and, at times, three parts of a classical column. The first floor functions as the column base, the middle stories, usually with sparse ornamental detail, act as the shaft of the column, and the last floor represents the capital, with added ornamental detail and capped with a cornice. 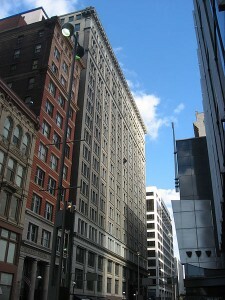 The Bartlett Building, built in 1901 for the Union Savings Bank, is Cincinnati’s first skyscraper. The building was expanded in 1914. The structure has 19 stories and is 239 feet in height. 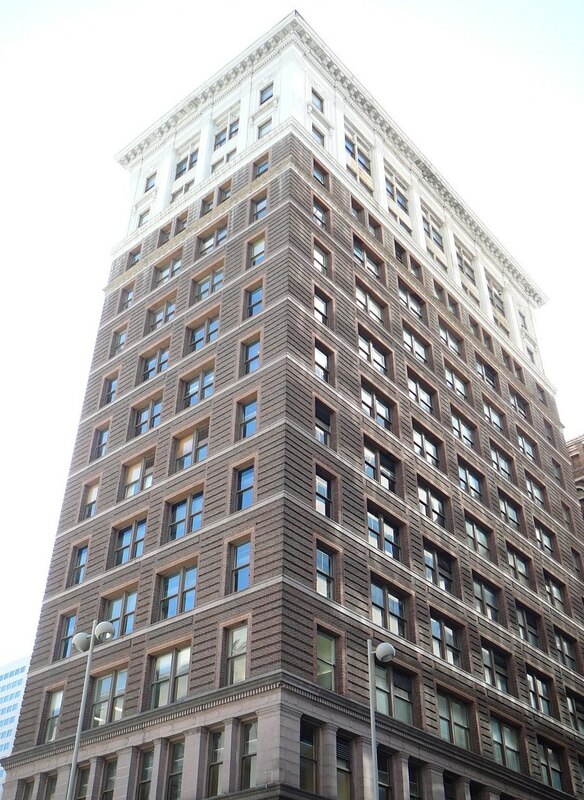 The Tri-State Building was built in 1902 for the Cincinnati Traction Company. The structure has 15 stories and is 215 feet in height. 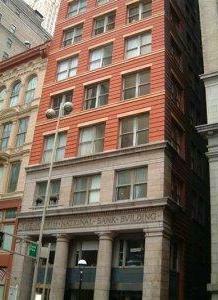 The Fourth National Bank Building was built in 1904. The structure is notable for its terra cotta details at the top, two windows instead of the typical three, and Doric columns at the base. It was converted to 19 lofts in 2003-2005, several of which have sold over the past three years between $285-335,000 (sales data from the Cincinnati Multiple Listing Listing Service). 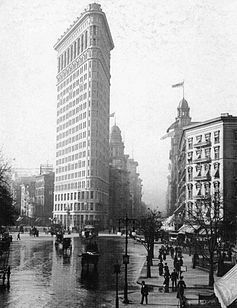 The Clopay Building, completed in 1905, is a fine example of the Commercial Style, Notable are the buildings’ bay windows (visible below in the section of windows behind the street light post), which provide a subtle undulating effect to what would otherwise be an imposing monolith.